Archives for: "Generators & Welders"
4 Hr: $31.00….. Day: $37.00….. Wk: $148.00….. 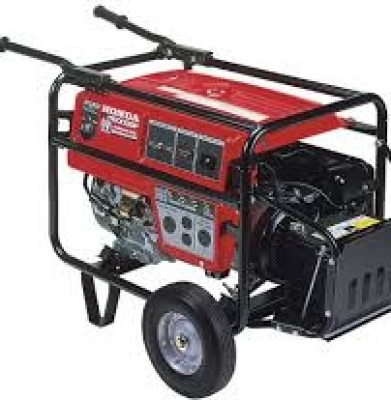 Generator can power 110 volt equipment only. No 220 volt. 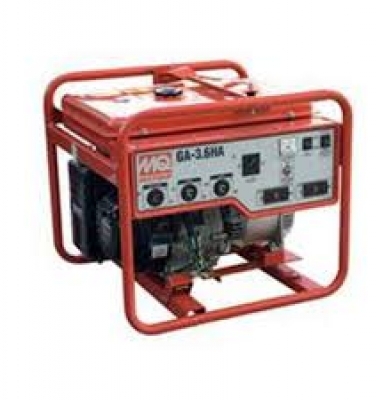 Generator will deliver 18 amps of power at 110 volts. Wt. 55 lbs. 1.08 gallon gas tank provides 6 to 8 hours of run time. Ideal generators for 1 tool, camping, and fishing. 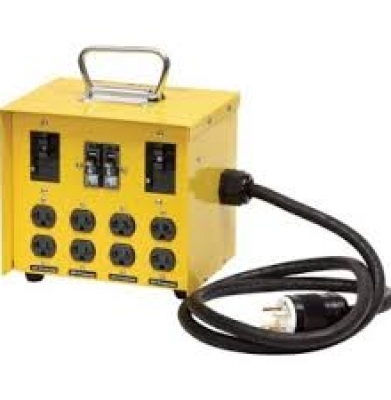 4 Hr: $34.00….. Day: $41.00….. Wk: $164.00….. 2300 watt generators can power 110 volt equipment only. No 220. Generator will deliver 19 amps at 110 volts Wt. 100 lbs. 3 gallon gas tank provides 5 to 7 hours of run time. 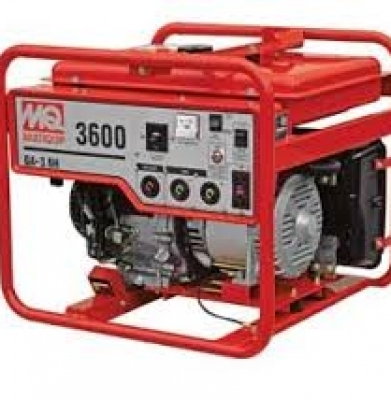 4 Hr: $35.00….. Day: $42.00….. Wk: $168.00….. 2500 watt generators can power 110 volt equipment only. No 220 volt. 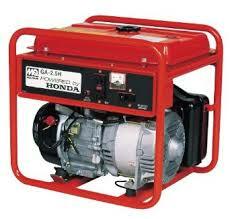 Generator will deliver 20 amps of power at 110 volts. Wt. 125 lbs. 3.5 gallon gas tank provides 3 to 5 hours of run time. 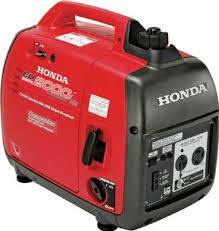 4 Hr: $46.00….. Day: $53.00….. Wk: $212.00….. 3600 watt generators can power 110 or 220 volt equipment. 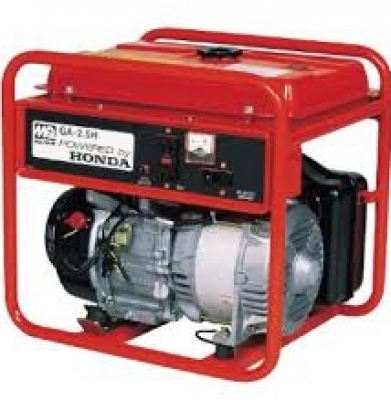 Generator will deliver 30 amps of power at 110 volts. 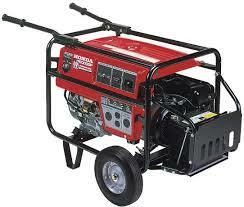 Generator will deliver 15 amps of power at 220 volts. Wt. 175 lbs. 5 gallons provides 7 to 8 hours of run time. 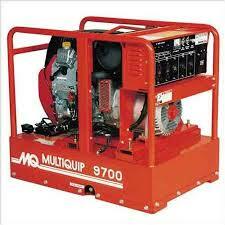 4 Hr: $55.00….. Day: $70.00….. Wk: $280.00….. 6000 watt generators can power 110 or 220 volt equipment. 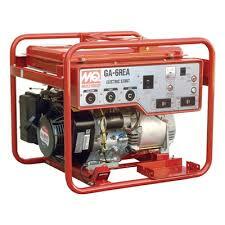 Generator will deliver 47 amps of power at 110 volts. 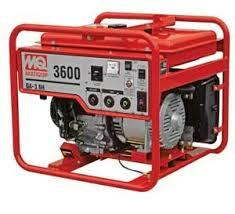 Generator will deliver 23 amps of power at 220 volts. Wt. 200 lbs. 5 gallon gas tank provides 5 to 6 hours of run time. 1 Day: $20.00……. 1 Wk: $80.00…….. Can be used with our 6000 and 9700 watt generators. Allow you to have ( 4 ) 2 plug 20 amp. outlets.